Harrison Max, US: Added 8 inches (21 CM) to the chest and shoulders. Justin Crutchfield: Since starting the program I’ve lost over 3 inches off my waist and I’m starting to see muscle definition for the first time in my life. I haven’t been at this weight for over 20 years. I discovered Oskar’s website while searching Google for answers about why I was making so little progress in changing my body through lifting heavy weights. After months of hard work heavy lifting, I was not losing weight or gaining definition in my body. Actually the opposite was happening. When I found Oskar’s blog about how he had a similar experience, and how he overcame that problem and even devoted his life to coaching others to do the same, I was hooked. I was starting to believe I could never change my body because of my genetics, but after I read some of Oskar’s blogs I started to believe that maybe there was hope after all. I was hesitant of paying someone to coach me remotely. I’ve tried many programs and diets in the past that made me too hungry or with such slow progress that I gave up, so I thought “is this just another gimmick?” I felt I needed outside help from a certified trainer and a program that mixed diet and exercise, and I thought “why not give it a try for a month?”. Oskar’s plan has been invaluable to me. The customized diet he prescribes was a key component to my success in the program. I’ve never been on a diet that has kept me so full that I cannot even eat all the calories I’m allowed to. The foods make me feel energized throughout the day, and I feel no lethargy like I did in the past. The food even ended up being cheaper to buy and easier to prepare that what I normally eat. I’m shedding fat consistently on a weekly basis while being completely satiated all day. Another great thing about the program is that I don’t even need to go to a gym. Oskar’s documentation for the whole plan is very organized, thorough and easy to follow. When I feel pain after an exercise, Oskar’s advice on either on how to adjust the exercise or how much to rest allowed me to continue the program without getting discouraged. In the past, pain would make me stop altogether for a long period of time. But with his advice I feel confident in continuing on without seriously hurting myself. Oskar is quick to respond, very encouraging, and his advice works. The weekly check-ins help me stay focused on my progress and it becomes more like a fun game rather than work, as I’m always trying to beat my previous week’s record. After so much successful progress, I feel so much more confident following his program rather than following the advice of bits and pieces of information I find in forums and blogs on the internet. Since starting the program I’ve lost over 3 inches off my waist and I’m starting to see muscle definition for the first time in my life. I haven’t been at this weight for over 20 years. In such a short time my body transformation has given me a huge boost in confidence. It’s great to hear from my wife, family and friends about how good I look recently. The best feeling was being able to fit comfortably in smaller sized shirts. I’m already shopping for smaller sized clothing and it’s awesome to look great in something I knew would look terrible on me in the past. I’m only about 3.5 months into the program and I’m really looking forward to my progress over the next several months. I first came across the SFT website about 4 years ago after trying out StrongLifts 5×5 and putting on 20 lbs. Unfortunately, most of that was fat and lower body mass, causing me to mess up my proportions. I implemented bits and pieces of information from the SFT website in order to remedy this horrible bulk, but I was always very inconsistent with my training and never disciplined enough with my diet to really get the results I wanted. Finally, just this last year, I was fed up with my lack of progress and knew that getting guidance directly from Oskar was the way to go. It was definitely an easy decision for me, as transforming my body has always been one of my primary dreams. Oskar’s coaching has taught me how to track macros and training progression properly, and these are the two keys to success. Oskar has been very receptive to any individuals concerns of mine. It definitely has helped me feel more confident in other areas of my life, as I was never proud of my body before. To change your body you have to learn discipline and patience, and these traits are important no matter what you do. I have worked my way up from 3 sets of 3 sloppy and jerky chin-ups to 5 sets of 7 strict and controlled chin-ups. Although this may not seem like a big difference in reps, body-weight exercises can really become much harder once you use strict form and a slower tempo — especially at my height of 6’4. Likewise, I have greatly increased the number of strict and controlled diamond push-ups that I can do. But the most noticeable results have come from the mirror. My upper-body strength and muscle gains have been much much better on your program. And for people who start off skinny-fat, it really makes sense to focus on the upper body (especially the lats) first to create ideal proportions. I like that you encourage the consumption of whole foods, including lots of fruits and veggies. I also appreciate that you tailored the meal plan to my vegetarianism, which I think a lot of coaches would sneer at rather than support. I love the program, and I feel that I am able to complete each training session relatively quickly. The focus on compound movements makes it really efficient. My favorite thing about your body-weight training plan is how simple it is. It’s hard to miss a workout when all you need is a pull-up bar. As a result of this simplicity, I have never missed a workout unless injured, and this consistency has translated into greater strength and muscle gains than I’ve ever had before. I also like that you emphasize pre-workout warm-ups and post-workout stretching to avoid injury. Simplicity and sustainability are so important. The exercises were very easy to follow, and I especially appreciated your feedback concerning my form. I’d send you videos and you’d note any issues that might lead to injury or imbalance. I workout 3~4x per week, usually first thing in the morning, eat some food, go to class, and then come home to eat some more food. Life is good. I hired you as a coach because when I came across your website and started reading through it, I could relate to everything that was on it. Everything made sense to me. I finally understood my body type and why I did not see any results from my training in the past. It has literally turned my life around. It is the first time in my life where I feel good physically and mentally and even emotionally. I am 29 but feel like I’m 20. No exaggeration. Apart from the physical transformation, the coaching has helped me overcome anxiety, mind fog, lack of concentration and I can get through a full day of work without having to take a nap. I can do more physically and mentally. The results are mind boggling. I have lost about 20kg of fat and have gained a lot of strength. Before beginning with Oskar, I couldn’t do any chin ups and only a few pushups. That has totally changed and i can manage over 20 pushups in one set and i can do weighted chin ups. There is no comparison. I have had three different personal trainers in the past and followed countless diets and workout plans in 10 years and NONE of them have got me results like Oskar’s program has brought me. The structure couldn’t be better. I always feel energized and motivated to beat my maximum and progress in the main exercises during workouts. The diet is easy to stick to and meals are straightforward to prepare. There are plenty of food options to choose from. Compared with the programs I tried in the past, I would feel my muscles being worked but they never brought me results like this. The combination of consistent progressive training and a testosterone boosting diet has worked wonders. The weekly check ins feel like a checkpoint to me where I can look back at my progress but also look ahead to how I can push myself further and set new targets. Oskar has always given in depth and timely replies. I have learnt a lot from all the information I have been given so far. I have struggled to put into words what Oskar has done for me and my quality of life. Words alone can’t justify what his knowledge and expertise has done for me. I only wish I came across his website 10 years ago. Only God knows what kind of results and shape I would be in now. I chose Oskar because his plan focused on my particular body type, and included both a real food diet plan (not dependent on buying a slew of supplements) and a workout routine focusing on the muscle groups that will make my waist appear smaller. I never hired a personal trainer before, and was a bit hesitant hiring an online coach, especially one overseas. One thing that helped was that Oskar was willing to do my first month thru PayPal which reduced my risk by quite a bit, and I was able to work with him for a month and confirm he was the real deal before subscribing thru normal means. Aside from risk, I was debating over the cost. In the end though, I figured the things I’d learn would stick with me the rest of my life, and I could easily blow that money on a new computer that only lasts a few years. I also figured I had the money and the time, so let’s see if I can really change my body to look like I’ve wanted it to look. Actually paying for the service helped keep me motivated to stick with the plan; but more than that, Oskar’s feedback on my workout videos has always been helpful. Most importantly though, he fixed my broken metabolism. Until I started this plan, I was eating < 2000 calories a day and going on an exercise bike multiple days a week to lose weight and I always plateaued. With Oskar, I was eating more food, gaining strength/muscle, and losing inches on my waist. Granted this took almost 6 months. To note, I'm age 38, 5'11" and started at about163 lbs. During Phase I (lasted 6 months): Waist: from 90.5 cm down to 81.9 cm (at the lowest, of course this changes week to week). Hips: from 92.7 cm down to 88 cm Weight: from 163 lbs down to 150.3 lbs. 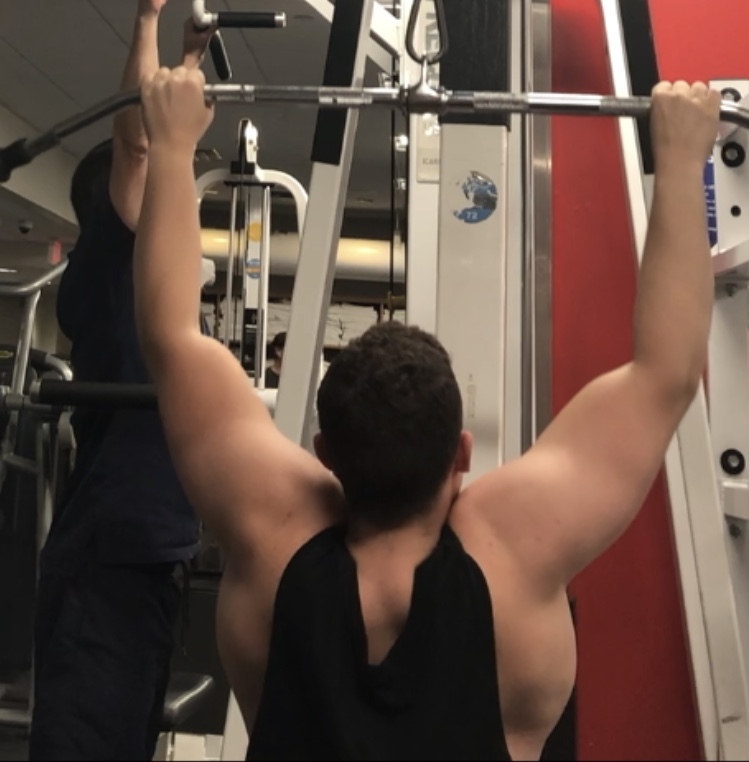 Chin-ups: from 1 up to 25 Diamond Pushups: from 8 up to 30 Squats: from 45 up to 100 My arms, shoulders, and chest all increased when I started the plan but then went back to starting numbers as I neared the end of Phase I and my metabolism was really revving up. During Phase II (lasted 6 months): Arms: from 33.7 cm up to 36.2 cm Shoulders: from 112.7 cm up to 118.5 cm Chest: from 95.3 cm up to 100.5 cm Weight: from 150.3 lbs to 166.4 lbs. My waist also went back up to about 88 cm at this point, but working with Oskar, we made some changes and after cutting back down I'll be starting to bulk again with what we've learned. This was an easy diet to stick to, especially since (at first), I was eating way more than I used to. I was more than satisfied and will probably stick with peanut butter toast and pineapple for breakfast for years to come. A banana with peanut butter on it also makes a satisfying and diet friendly desert. Basically, if you like peanut butter, you'll be good to go 👍. The structure was good, I wanted to finish my workouts in 45 minutes or less and Oskar helped adjust things to get me in that time frame (stretching included). I hadn't tried any official training programs or diet plans before. The weekly check-ins on Sunday (rather than Friday) also helped. By having the check-ins on Sunday it was much easier to stay motivated not to 'cheat' on the diet on the weekend when it can be easy to fall into that trap. I did the weekly coaching plan to save on money, so I would ask my questions on Sunday and usually received a response by Tuesday. If I encountered any pain or had a more urgent question, he'd get back to me by next day (since he's on the other side of the world). A typical day: I get up, eat peanut butter toast, pineapple, 2 egg white protein shakes & coffee for breakfast. Then I bring the kids to school, I come home and work from home at a desk all day. During my lunch break, I'll do my workout (35-45 min). After my workout, I'll eat a turkey, spinach, & mayo sandwich with a little baked chicken and extra spinach on the side for lunch. I'll follow that up with a banana covered in peanut butter. I pick up the kids from school then for dinner it could be a variety of things. Some meals I might have include a Mexican dish (white rice, chicken, spinach, salsa, guacamole), another one might be a Chinese dish (white rice, chicken, stir fry veggies, and general tso sauce), and you can't go wrong with a steak, mashed potatoes and veggies. I usually always leave room for some dark chocolate or a banana w/ peanut butter for my desert as well. I'd just like to add that there can be lulls in progress. The important thing is that by keeping note of your measurements, calorie intake and days working out, you have what you need to be able to tweak things to improve results. Personally, I know that I was able to break thru some plateaus in a significant way by following Oskar's program, so even though results come and go (usually based on life throwing a wrench in things), I know what results look like if you dedicate yourself to sticking with the plan. Tim Rowland, US: “Oskar offered a personalized training system for people with unique fitness challenges that the general public – even professional trainers – don’t really understand. Once I read everything Oskar had to offer, it was an easy decision, and well worth doing. Oskar’s coaching has helped me make strides toward my fitness goals like no other personal trainer has. He’s also changed my understanding of how to train, eat, and think about my body, after spending years following advice that worked for 99% of guys – but not me. My body issues have contributed to years of frustration and anxiety, and Oskar’s training helped me change my sense of what was possible. I’ve made significant strength gains, and lost body fat in all the areas that bother me the most. 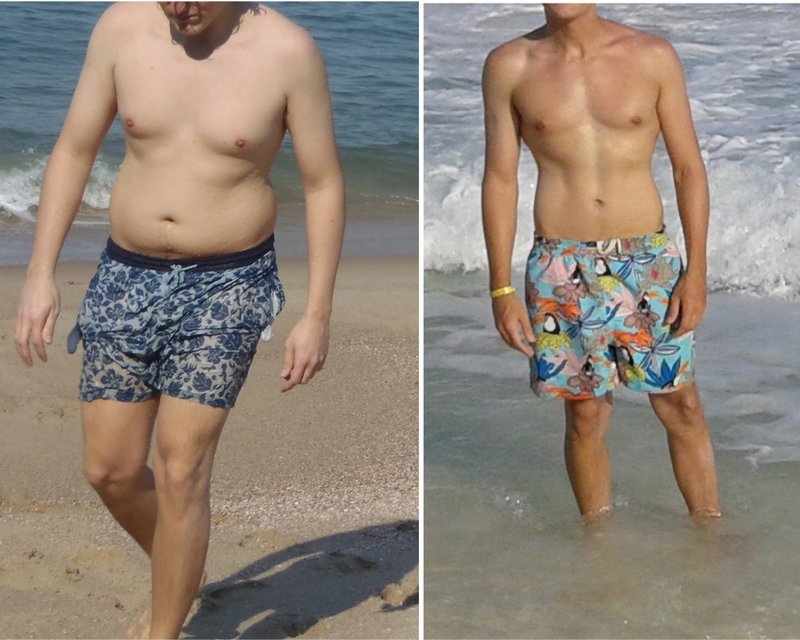 No other training program has been for my body type – extreme difficulty losing fat, small bone structure, and a past that included gynecomastia. Oskar’s diet plan provides a lot more flexibility than I expected. Carbs are okay, and a “re-feed” meal makes the weeks a lot easier to get through. Unlike other diet plans, it didn’t leave me feeling drained and going into training feeling like I had no energy. Oskar’s training program is well structured for someone who wants to make consistent gains in the different muscle groups, without spending two hours in the gym every day. Previous training programs left me feeling drained of all energy, and often frustrated, because for all the energy I expended, I was still carrying fifteen pounds of excess fat. The effort-reward balance was way off. Oskar’s program reset the balance, and helped me move toward the type of body that showed the hard work you put into it. The weekly check-ins and progress photos were a much better way of tracking development than just standing on a scale every day and looking in the mirror to see if you’ve made any progress. Oskar was very responsive and specific in his trouble shooting. I felt like I had direct access to him as a coach. Oskar’s training program is ideal for a group of men who not understood by the fitness community at large. Very few people understand what it’s to train bodies like ours, and how to get them into the shape that we yearn to be in. Hey Oskar, I run a Dexa scan body composition business, and really respect your honesty and integrity and the success you achieved in your own body transformation. With the 8000 dexa scans my business has done I truly understand what you overcame to build a truly fit, functional and aesthetic build. I have my sports scientist read your website when they start with me, and many of your findings and advice are given to my clients. The things a skinny fat needs to do are very similar to what my clients need even if they are not skinny fat, because average people with stressful lives, regardless of their genetics, often do not respond to many of the strategies that are out there in body building forums and the popular press. In my opinion, your program off getting lean first and then building through body weight exercises and then progressing to high volume gym training, is the way most people should approach changing their bodies.